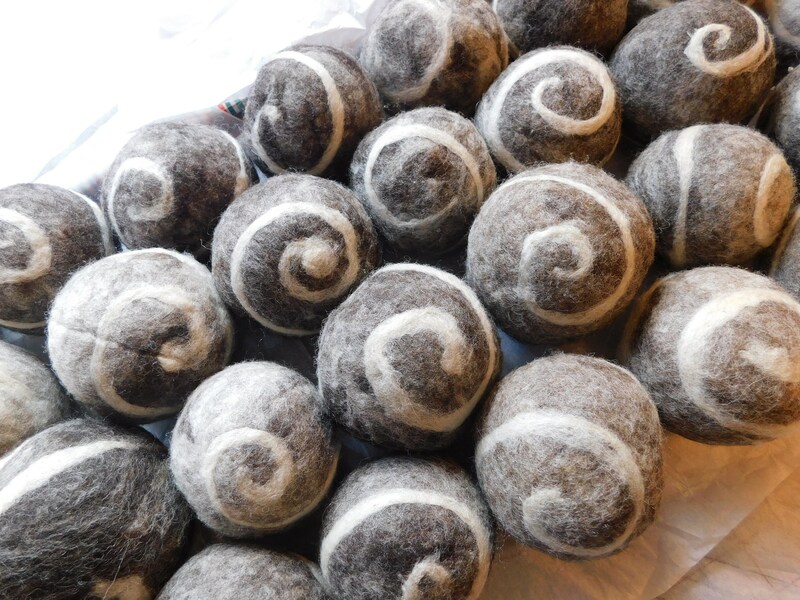 Wool Felted Dryer Balls ~ 5 per set ! 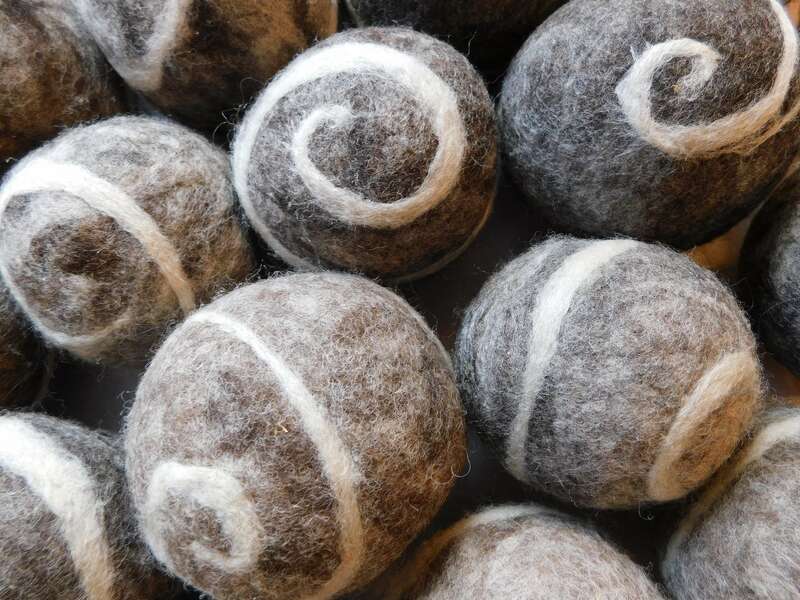 The dryer balls are made by me using the wool from my flock of Jacob Sheep. 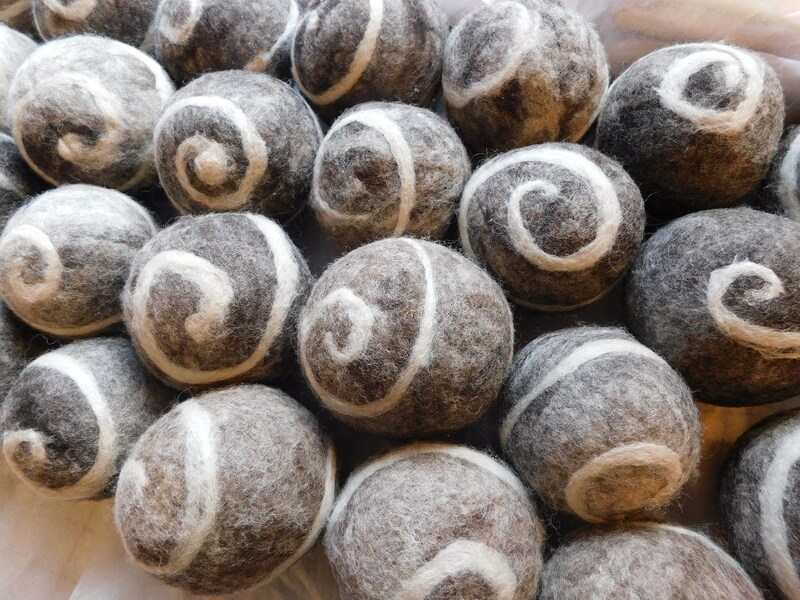 Dryer balls are one of my best sellers at local bazaars, farmer's markets, and on-line because they are practical and affordable laundry aids. 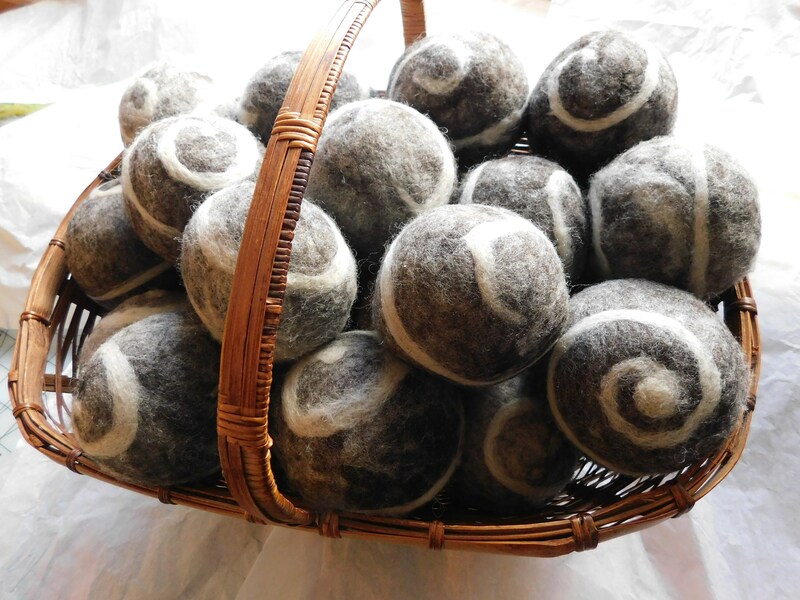 Wool dryer balls help you do your laundry without the use of fabric softeners. The dryer balls help keep laundry separated and absorb a lot of the static cling as your laundry tumbles in the dryer. Wool dryer balls also last indefinitely. If you desire scent in the laundry in your dryer, simply add a few drops of the essential oil of your choice to one or two of the dryer balls. These dryer balls also make good baby or cat toys. Each ball has a jingle inside .Add catnip oil to the balls for your cats , my cats love them ! I sell the wool dryer / baby -cat toys in groups of 5. You really need about 3- 5 dryer balls to get good results in your dryer. My dryer balls also look nice in wooden bowls or baskets I place in our living room as decor.